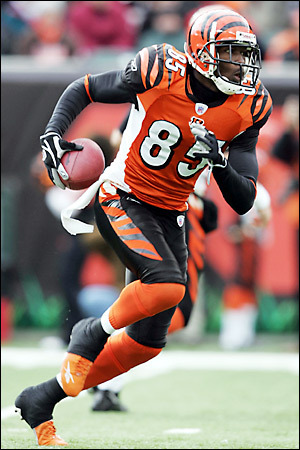 Raiders in the Mix for Bengals WR Ocho Cinco? While many still think that the Raiders are going to target Michael Crabtree in the April 25th draft, there are still some WR’s out there that could fill the void on the team. 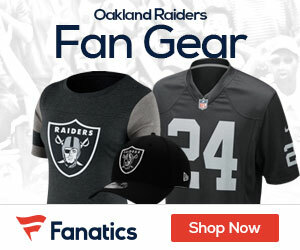 Notwithstanding a worthlessly bogus item on bleacherreport.com indicating that the Bengals already have traded receiver Chad Ochocinco to the Raiders for running back Michael Bush and a second-round draft pick, there actually is a belief in league circles that the Raiders have some interest in the player formerly known as Chad Johnson. It currently isn’t known whether any talks have occurred between the Raiders and Bengals. It remains to be seen whether the Bengals would trade him, especially since they could have gotten as much as two first-round draft picks last year from the Redskins for him. Ocho Cinco is one of those classic players that comes to the Raiders with baggage, but at the same time could be a guy that can have a big impact on a roster that needs pass catchers. This could be a draft day deal. All this was…..was hearsay. It was someone saying something that wasnt true and ten was used for the truth of the matter asserted. Supposedly Oakland was supposed to trade Bush and a second round pick, I believe, for Johnson. Judging from the fact that Tom Cable is building a “team,” it is very implausible that he would take a guy like Johnson. Look what happened when Owens was released, we didnt go after him, Tank Johnson is still out there, we havent talked to him. Plaxico Burress, great wide-out, but not wanted due to his legal troubles. Coach Cable is trying to build a team and adding guys on like Johnson would just detract from not only his vision but also Al Davis’ vision.